ENGLAND V SRI LANKA STATISTICAL HIGHLIGHTS FROM THE TEST SERIES. 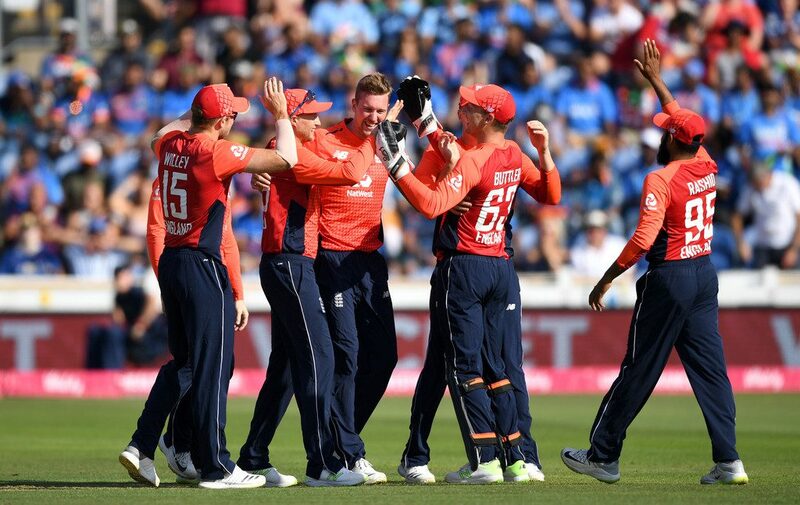 In the previous blog we saw all the statistical highlights from the England v Sri Lanka ODI series and the only T20I game! now we will have a look at some of the important records which are made and broken by our lads in the 3-match Test series. our lads celebrarting their 3-0 Test series win against Sri Lanka.. pic credits : Getty Images. England completed a fantastic 211 run victory on day 4 of the first Test against Sri Lanka to end their winless streak away from home. It was their first overseas win since October 2016 and the first one at Galle. It was also Joe Root’s first win as a Captain away from home. Ben Foakes became the first player in Test history to score a hundred and record a stumping on debut. He is the first England wicket keeper to take a stumping in the first innings of his Test debut since Bob Taylor in 1971. He is the first England wicket keeper to make a century on Test debut since Matt Prior. He is overall the fifth wicket keeper to achieve this feat. Also he is the fifth Batsman to do so against Sri Lanka in Sri Lanka and 4th England batsman to do so in Asia. He is the only 2nd wicketkeeper to effect a dismissal on Test debut as early as the 2nd ball. Australia’s Peter Nevill made his maiden Test dismissal behind the stumps on the 2nd ball of his Test debut in the 2015 Lord’s Test. The last instance of England not conceding a bye in a Test match in Asia was back in 2001 Mohali Test Match against India. Ben Foakes on his debut did not concede a single bye in the 153.1 overs of Sri Lanka. Our spinners shared 16 wickets between them in the first Test. Their combined 16 wickets is the second – best spinner’s haul for England for 60 years beaten only by the 19 wickets Graeme Swann and Monty Panesar shared in Mumbai in 2012. Sam Curran became the 2nd youngest player to open the bowling for England at the age of 20 years 157 days. Bill Voce was the another left- arm Pacer to achieve this feat when he bowled the first over of the 1930 Bridgetown Test against West Indies on his debut at the age of 20 years 156 days. Keaton Jennings scored his 2nd Test Century against Sri-Lanka. He scored both the Centuries in Asia. The first one being his maiden Test innings of 112 at Wankhede. England’s first Test against Sri Lanka was Skipper Joe Root’s 75th Test. Adil Rashid claimed completed his 50+ Test wickets. Jack Leach claimed his maiden five wicket haul in this game and became only the 2nd England spinner to claim a five-wicket haul while opening the bowling in the last 40 years. Previously Monty Panesar took 6/81 in India’s second innings during the 2012 Mumbai Test. He became only the 2nd England player in the last 60 years to open the bowling and batting in the same Test match. previously Graham Gooch achieved this feat during the 1987 Faisalabad Test against Pakistan. It is only the third time in England’s 363 Test victories they have won without a seamer taking a wicket. They defeated India in the 1952 Kanpur Test and Australia in the 1956 Manchester Test when the pacers went wicketless. Nine dismissals in this game were either bowled or LBW during England’s second innings. These are the joint second most number of dismissals via bowled and LBW in a Test inning. previously ten Australian batsmen got out bowled or LBW in the first innings of the 1948 Adelaide Test against India which is the only such instance thus far. Joe Root scored his 15th Test hundred. Its his first hundred away from home since replacing Alastair Cook as skipper last year. He Scored 124 off 146 balls and its now the highest Test score by an England Captain in Sri Lanka Surpassing Nasser Hussain’s previous mark of 109. It’s the fastest known Test century by an England captain. None of Joe Root’s 15 Test centuries been in a losing cause. Root’s 11 centuries resulted in England’s wins while other four coming in draws. — First 73 Tests – one century. Sam Curran got his 3rd Test fifty , a crucial one! he scored 64 runs off 119 balls including 6 sixes and a four in England’s 1st innings. 56.25 percentage of his 64 runs he got with sixes. This is the 4th highest percentage of runs coming via sixes in a Test inning. He hit three sixes before hitting his first boundary and he is now the first player to hit most number of sixes without hitting a four in a Test innings. 5 : Sam Curran in this game. 3 : Martin Guptill NZ v Bangladesh, Hamilton 2010. The difference of +5 between the number of sixes and the number of fours Sam Curran hit in his innings in this game is the joint-largest in Test history. Tim Southee is the other joint record-holder who hit unbeaten 77 runs off 40 balls on his Test Debut, which includes 4 fours and 9 sixes. Sam Curran averages more than 40 with the bat and less than 25 with the ball. Spinners took 38 wickets in this match which the the most in a single Test match. Our spinners combined to take 19 of England’s 20 wickets in their win over Sri Lanka in this game. In the first innings Jos Buttler scored crucial 63 runs off 67 balls, his 11th Test fifty. Interestingly 51 of his 63 runs came playing either sweeps or reverse-sweeps. This is only the fifth time since 2006 that someone has scored 50 runs from sweeps in an innings. In the 2nd innings seven of England’s nine wickets came from sweep or reverse sweep shots. Joe Root won 8 consecutive tosses in all 5 Tests v India and in all 3 Tests vs SL. Previously only Colin Cowdrey has won more tosses in a row i.e 9 in 1960-61. Jonny Bairstow’s century in this game is his 6th Test hundred and the first by a England No.3 in last 2 years. The last was by Joe Root v India in Rajkot in Nov 2016. Sri Lanka. England have now won eight of their last 9 Test Matches. Joe Root is the first captain to lead England to an away white wash series victory since Ted Dexter in New Zealand in 1963. Ben Foakes is the 11th player to win the player of the series award in debut Test series. He is also the first England player and the first wicketkeeper to win the player of the series award in the debut series. In England’s 2nd innings Jos Buttler scored crucial 64 off 79 balls, his 12th Test fifty! it’s the 2nd fastest Test fifty by an England batsman against Sri Lanka after Marcus Threscothick . Adil Rashid Claimed his career best figures of 5/49 leaving Sri Lanka 9 wickets down just for 67 in the first innings. Its his 2nd Test five wicket haul! He claimed total 12 wickets in the 3 match series. Moeen Ali will end 2018 having taken four wickets in an innings on five separate occasions. No spinner has ever taken more in a calendar year. He claimed total 18 wickets in this 3 match series. With 18 wickets in the series, Jack leach has taken the most wickets by an England left-arm spinner since Hedley Verity’s 23 against India in 1933-34. He is also the Joint Leading wicket taker of the series along with Moeen Ali. England’s spin Trio out shone their Sri Lanka counterparts as the Spin bowlers took 100 wickets for the first time in a 3-match Test series. Our spinners shared total 49 wickets in this series. Ben Stokes is the 2nd highest wicket taker amongst visiting pacers in Asia since the time of his debut. Since the Start of 2016 he has taken 71 Test wickets at 27.53 runs apiece. He claimed total 5 wickets in this series at an average of 20.40. In the 19 series since Ashes 2013/14, England have lost at least one Test every series except for these two – vs SL at home in 2016 (2-0) and away in 2018/19 (3-0). Wow! That’s a lot of stats! Previous Previous post: ENGLAND V SRI LANKA ODI SERIES / ONE-OFF T20I STATISTICAL HIGHLIGHTS.